1. 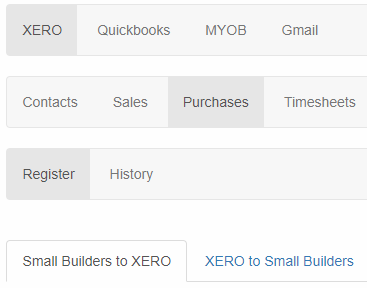 From your XERO page, go to Purchases > Register > Small Builders to XERO. 2. Select Credit Notes under Expense Type filter then click View Record. 3. Tick the checkbox of the credit note you want to integrate. Once selected, the record will be highlighted in YELLOW. 4. 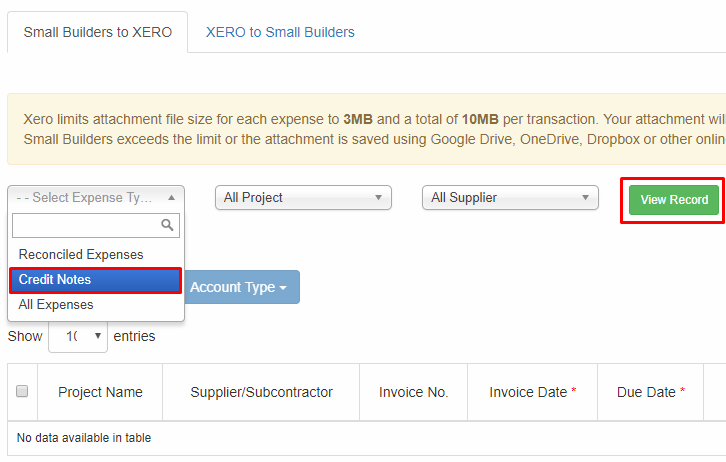 At the bottom of the page, make sure you selected the "Move the selected entries into my XERO account." option. 6. Once successful, you will be directed to the success page. Click Open in XERO to view. 7. You will be redirected to your XERO account that displays your integrated credit notes. 8. To located other integrated expenses, go to Business > Bills to Pay. Credit notes are marked with a sticky note icon beside the supplier/subcontractor name.